Matt Damon listed his 12,705 square foot home for sale for $20 Million on 6020 North Bay Road. This home is situated on a double lot of 43,000 square feet with 170 feet of premier Biscayne Bay waterfront. Some of the homes incredible amenities include, home theatre, mega master suite, with spa bath, and private terrace, a rooftop terrace for entertaining, and much much more. Damon purchased two lots independently and built the dreamhome for 15 million. Damon met his wife Luciana Barrosa while filming here, and they married and the two daughters were raised in Miami. North Bay Road could not be a better neighborhood and so few homes are on the market. North Bay Road is the home to both multimillion dollar homes and mid hundred thousand dollar homes, however very little of either are currently on the market. Homes in this neighborhood are typified by large lot lines and varying architectural styles. From Mediterranean to Classic plantation style, to post modern and modern, North Bay Road has something for everyone. There are large sidewalks and speed bumps and it is not uncommon to see celebrities out walking with their families and joggers and cyclists. 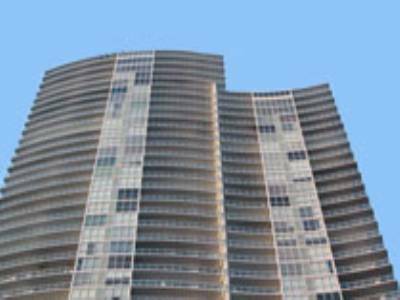 It is on the barrier island of Miami Beach and it is approximately 20 minutes from Downtown Miami and 15 minutes from the Miami International Airport. Shopping and Dining in South Beach and Bal Harbour are both under 10 minutes. 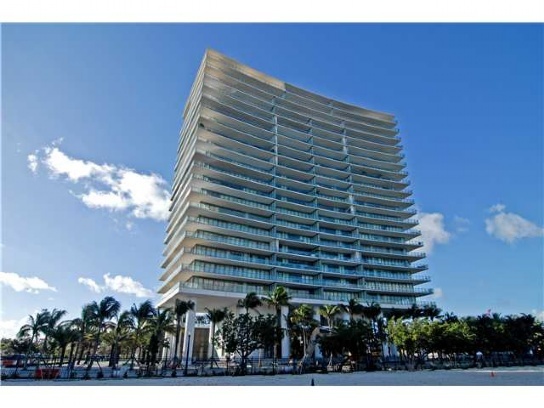 For more information on this listing and others in Miami Beach’s North Bay Road, contact us today. 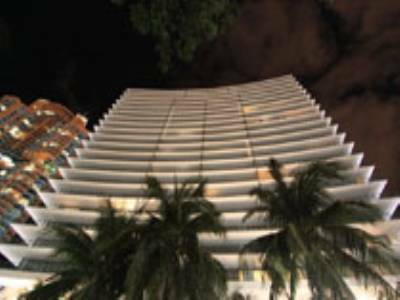 Pinetree Drive is one of the most famed streets in Miami Beach. Shaded by whispy pines, the homes on this drive are some of the most distinguished and historic in Miami. PInetree Drive runs within Miami Beach and some homes are waterfront and are typified by large lots and lush vegetation. South Beach is a mere 5 minute drive from this neighborhood and the elegant shoppes of Bal Harbour are a 15 minute drive. 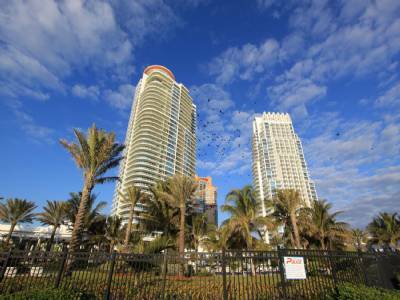 The La Gorce Country Club and the Miami Beach Golf Club are both around 7 minutes away, and the Miami International Airport and Downtown are approximately 20 minutes away. This area has witnessed incredible increases in property value in 2012 and it is no surprise why, given its convenient location and stunning properties. Our featured home today is 4549 Pinetree Drive which is an oversize estate listed for $11.9 million. This home literally has everything you could desire on an enormous 1.5 acre waterfront parcel. The home has 209 ft of waterfront with 2 docks, tennus court, golf greens, and lush walking gardens. Interiorly, this home has soaring ceilings of over 30 feet, with majestic living areas and flooring of imported marble and wod, with custom millwork. There is a 1 bed 1 bath guest home, and the main home has 8 beds, 8 baths, and one half bath with 14,453 square feet. A home of this caliber does not stay on the market long and it lacks nothing. For more information on this home and others in Pinetree Drive Contact us today. 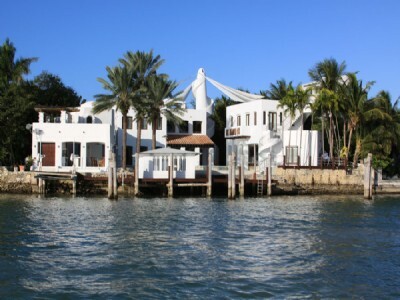 This week we are pleased to feature a mid priced million dollar home on prestigious Allison Island. Allison Island is among the barrier islands that comprise Miami Beach. 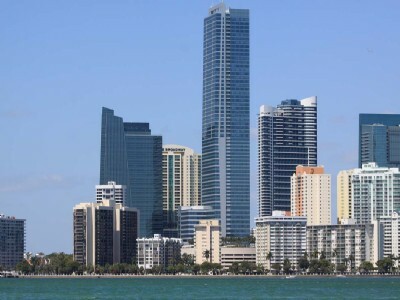 The other island communities include, La Gorce Island, Venetian Islands, Sunset Islands, and of course the main barrier island of Miami Beach. All of the homes on these islands are highly desirable and many are waterfront. They vary in style and range from historic 1920’s style homes to modern homes by famed architects such as Ralph Choeff. 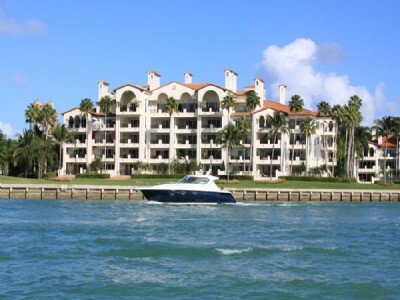 Allison Island is one of the smaller island communities and half of the island is a development called Aqua, which are townhomes, and the other half is a gated community of all waterfront homes. The lots on all Allison Island homes are sizable and most have boat dockage with no fixed bridges and access to the Biscayne Bay and Atlantic Ocean. Our featured home on Allison Island is a modern, completely remodeled home at 6300 Allison Island Drive. Remodeled in 2009, this home has all luxuries and amenities of the price tag of #3.39 million. The home has 4200 square feet of living area and 6 bedrooms and 4 and one half baths. Some of the upgrades include, toto toilets, Viking appliances, Brazilian granite and hurricane impact glass. The dock is new and has a boat lift of 16,000 lbs resistance. It offers western exposure for incredible sunsets and has a formal dining and eat in kitchen. This home is very reasonably priced in a tight market and we are certain it will be sold soon. For more information, contact us today. Key Biscayne is an island off the tip of Miami, accessible via a toll road. It has some of the most famous beaches in South Florida and is home to the Sony Tennis Tournament, which draws tennis fans from all over the world to Key Biscayne. The dining in Key Biscayne has become quite popular and it really is like the Bahamas or the Keys in terms of foliage and atmosphere. Waterfront dining is very popular as are watersports such as kit boarding, paddleboarding, and wind surfing. There are mostly condominiums and fractional ownership residences on Key Biscayne and it also has a Ritz Carlton, however the handful of homes that are on Key Biscayne are absolutely incredible with wide views of the Atlantic Ocean. One home in particular really sticks out of the real estate market in Key Biscayne, and that is 28 Harbor Point Drive. 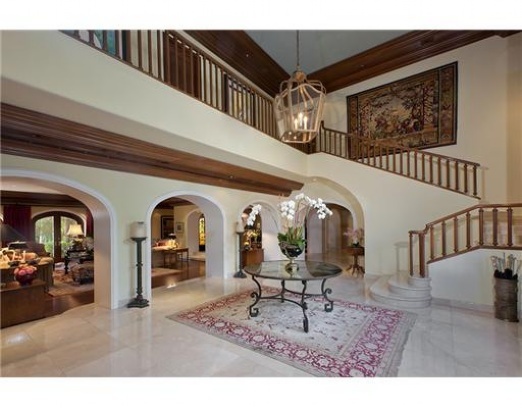 This massive estate sits on a peninsula in the Lorido Estates Gated community of Key Biscayne. The home has 180 degrees of ocean front water and an enormous boat dock. It is in a modern style and nearly all rooms face the ocean. The interior of the home is 11,556 square feet, and it sits on a 27,137 square foot lot. The home has 6 beds, 8 baths, and one half bath. The garage is ideal for a car collector with 4 car capacity and an elegant circular drive and the home has loads of amusements to entertain guests. It is listed at $22.3 million and seeing is believing with a home of this magnitude. Contact us today for more details. 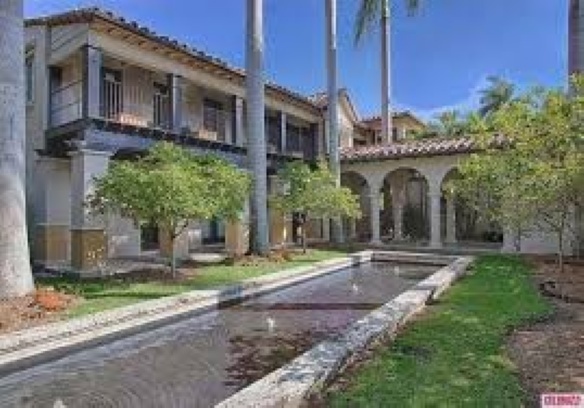 Historic home, Whitehall, on 5930 Bay Road has been listed on the Miami Beach market for $25.995 million. This incredible home on the famed millionaire row of North Bay Road has been home to royalty and is the true definition of an estate. Set on a corner of La Gorce Island, the property is on an enormous lot that is a vertitable peninsula onto the Biscayne Bay. The lot is 73,480 square feet and the home is 13,630 square feet. The home has nine bedrooms and seven baths and has an incredible two hundred feet of waterfront, accommodating yachts of any size. The flooring is an elegant mix of parquet and marble and it has the feel of a modern “Tara” from “Gone with the Wind.” The way the market is surging in Miami Beach, we do not expect this home to be on the market long. The neighborhood this home is located in is the La Gorce neighborhood and it has a private country club just minutes away. 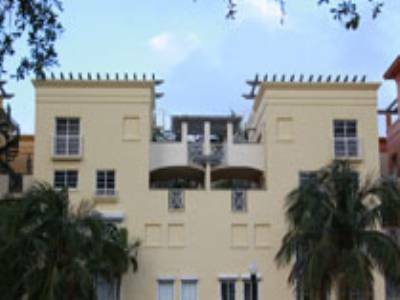 It has the feel of a quiet neighborhood, while being in the heart of Miami Beach. 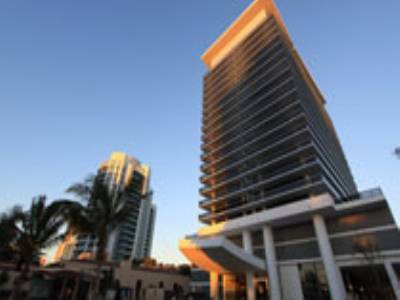 Bal Harbour luxury shopping is just a 15 minute drive and the Miami International Airport is a 20 minute drive. The gourmet dining in South Beach is at your doorstep, and privacy is paramount at this address and there are so few homes on the market of this caliber that we predict it will be on the market for only a short time. 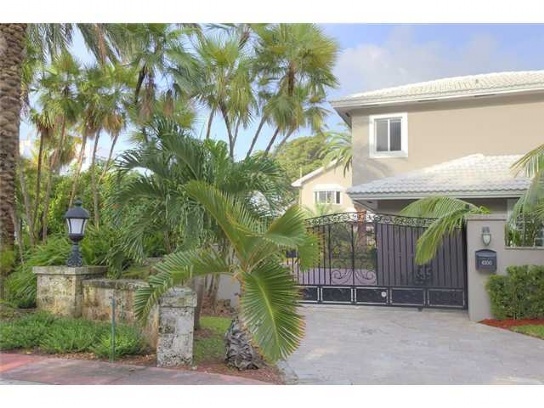 For more information on this home and others in the La Gorce neighborhood, contact us today.